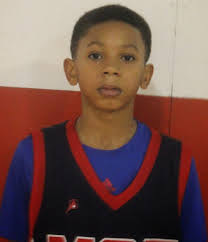 BASKETBALL SPOTLIGHT NEWS: Gunning For #1: Easter Comes Early To Future Phenom Camp! Gunning For #1: Easter Comes Early To Future Phenom Camp! Sometimes in life you simply know that you about to find yourself in a situation; with confirmation that Easter will be in the building a lot of barbershop arguments will be settled. The perimeter stars are deep in this class, and Easter is the cream that is quickly rising to the top. Heady, crafty, with IQ Easter knows how to use his body and play the angles. One of the best finishers you will find in the class; he constantly presses the paint and finds ways to score for himself and his teammates. He carries himself like a pro and has a level of maturity that you just won’t see in a kid his age; he is different but there is swag in what he does and he does it at the highest levels. Is prolific in the mid-range and understands the value of high percentage shots, a pure scorer who can also step behind the three point strip. Jerry does a lot of things that translate already and he is ready to have the competition speaking his language – if you come to Basketball Spotlights Future Phenom Camp to see Jerry Easter you better have your Rosetta Stone ready as he will come at you in many different ways and all of them will be tough to stop. Easter has the ability to score from all over off the catch and with the bounce; he excels in transition by both running and leading the break, he is special with the ball in the hand. He can run a team in the half court and he likes to use the crossover as well as the in-and-out and can finish with either hand. Easter will go the well until you stop him as his well seldom runs dry. Impactful as a defender his completeness as player will put him in the Spotlight – anyone looking to steal his shine could be in for a dark day bring your hardhat and flashlight cause Easter wants the Spotlight all to himself.